Vacation rental house. Sleeps 10, 4 bedrooms, 5.25 bathrooms. No pets allowed. Street view of 3 story home. Balcony's off of 2nd floor bedroom with queen and third floor master suite with king. Dining room table with chairs for 8. Sofa bed in the great room. Cathedral ceiling. lots of light and space. Dining room, breakfast bar and sideboard. 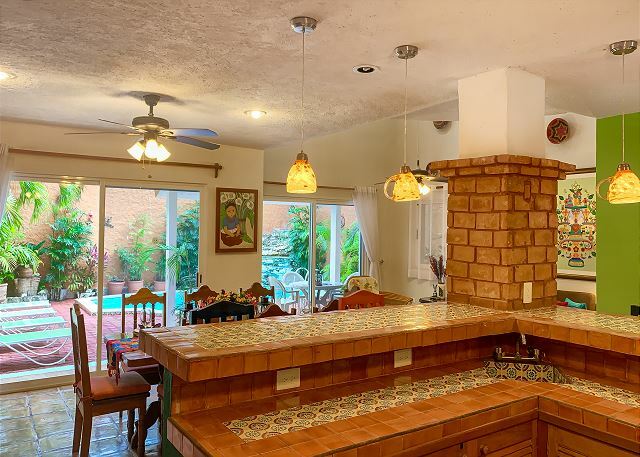 The kitchen has a lot of counter space. Large kitchen and full size fridge. TV living room area is part of the great room. Our Guest Information Book has lots of tips and pointers. large flat screen TV, DVD player and a huge DVD library at our central office available for your use. Entrance to the third floor Master Suite has a coffee pot and cups. Spacious third floor Master Suite with patio doors on each size a lovely breeze. A/C for the warm days. Master Suite sitting area and access to private walk-in closet and bathroom with large walk-in shower. A beach bag for your use with beach towels. Master Suite bathroom with double sinks. Shampoo and conditioner for your use. 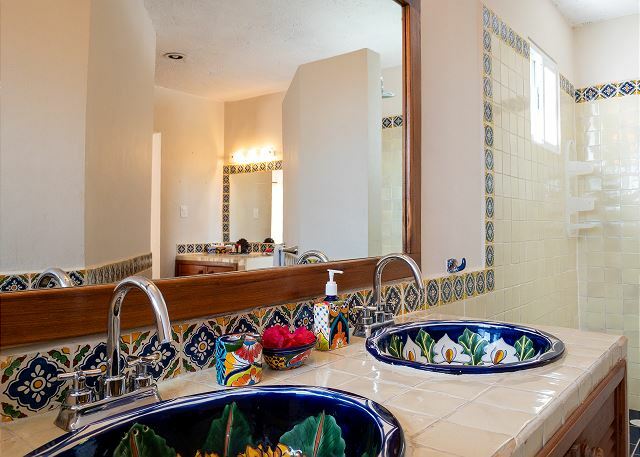 Separate vanity in the Master bathroom. Second floor hallway with three bedroom entrances. Bedroom #3 has a queen bed and a private bathroom. Bedroom #3 has a private bathroom with shower and A/C. Bedroom #3 closet and mirror and a beach bag for your use with 2 beach towels. Second floor patio for your morning coffee and croissants. Access from the bathroom or from bedroom #1. 2nd floor Bedroom #1 with a queen bed and patio access. Shares bathroom with Bedroom #2. A/C. Bedroom #2 with twin beds that can be made up as a king. A/C. Shared bathroom with Bedroom #1. Large closet. Pleasant breeze through the patio doors that face towards the ocean. Walk-in shower in shared bathroom between Bedrooms #1 and #2. Shared bathroom between Bedrooms #1 and #2. 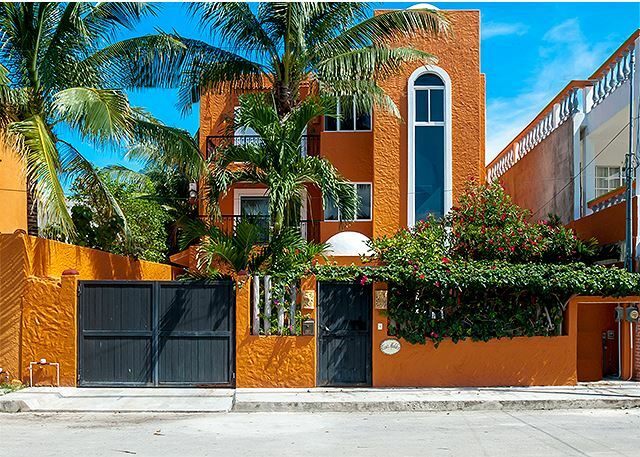 Spacious 3 story home only 2 blocks from the beach and 10 minute walk to town square. 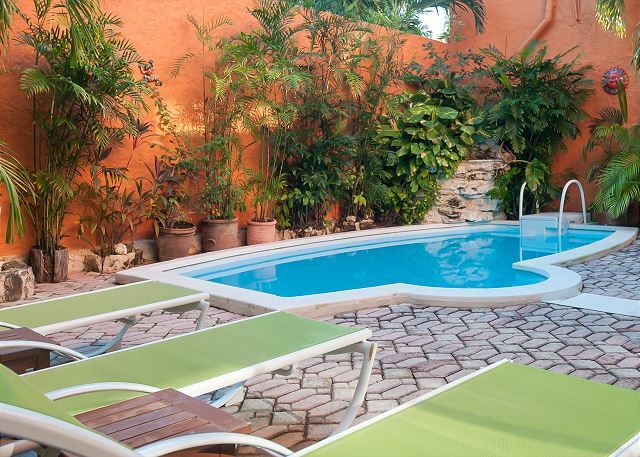 Charming Mexican decor, lovely private pool and garden. 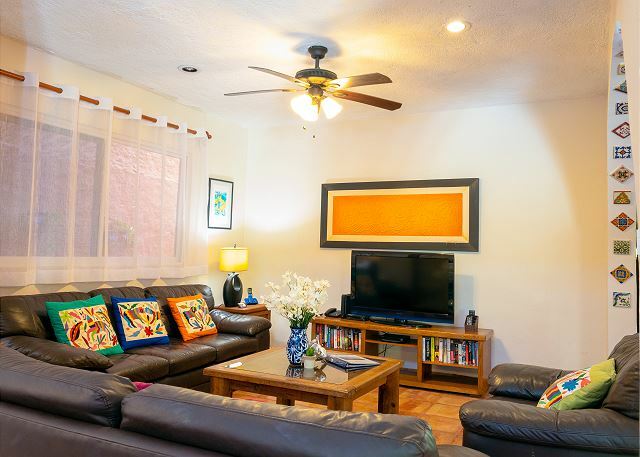 The first floor is a spacious open great room with a large well equipped kitchen, dining area for 8, living room with a flat screen TV/DVD, free Wi-Fi, and lots of amenities. There is a phone for local calls only. The third floor is a master suite with big sliding doors out to balconies on both sides and lets in a lovely cross breeze. It also has a huge walk in shower in the private bath. 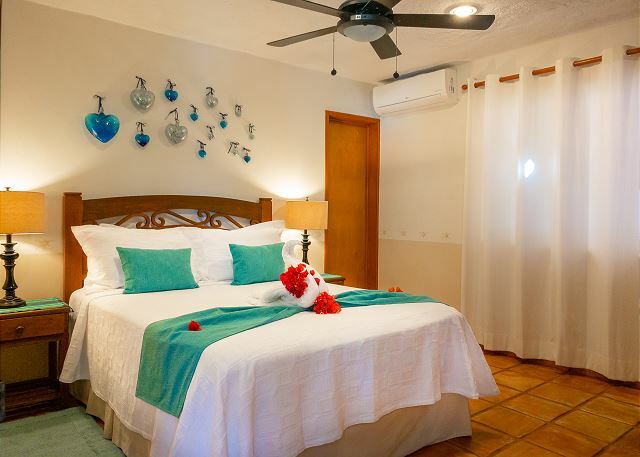 The second floor has 3 bedrooms, one with a private bath and two bedrooms share a bathroom. 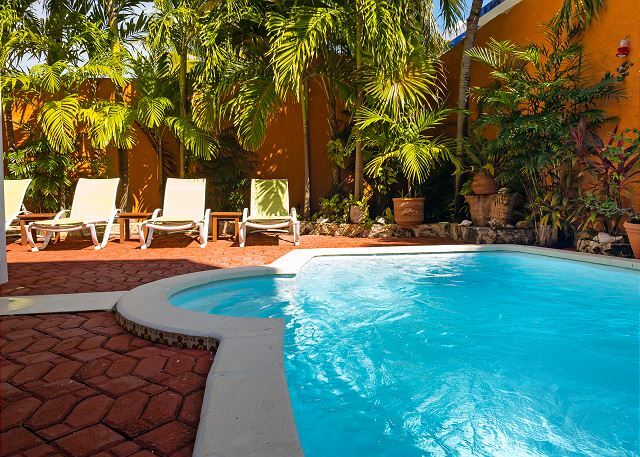 The secluded garden and pool area in back is the perfect relaxing, gathering place. A large table with 5 chairs and 3 loungers for your comfort. 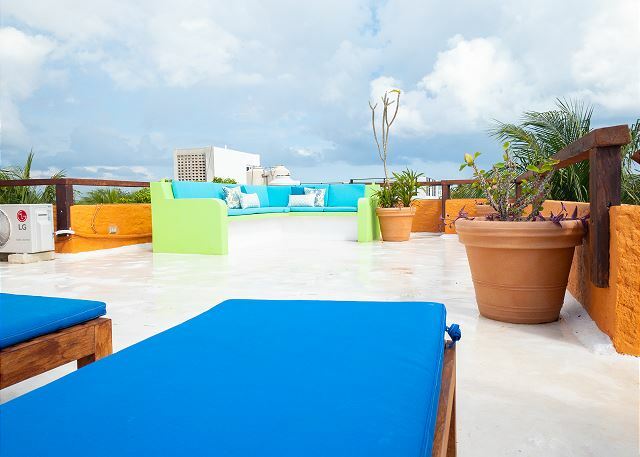 The roof has a seating area where you can take in the view of the ocean. 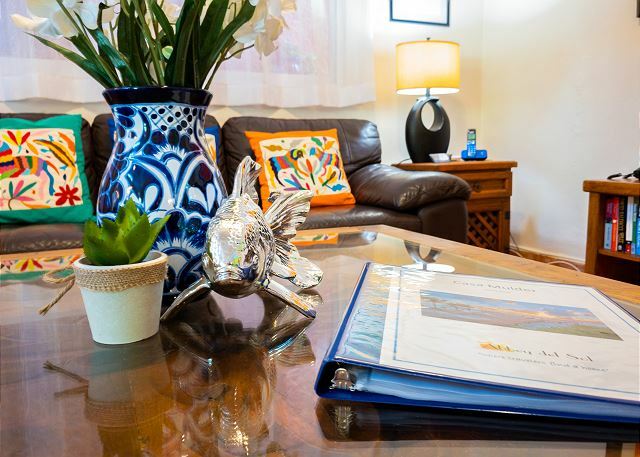 Our English speaking manager can help you have the perfect vacation. We can help arrange individualized tours and excursions. Rooms Sleeps 10, Base rate for 8 guests. $40/person/night for extra. Sleeper sofa sleeps 1 adult or 2 children. a guest from Watrous, SK does not recommend this vacation rental. We appreciate you comments Wes, the bikes were a great additions and we are happy to hear you enjoyed riding them around town. We were a group of 7 ladies. We had a great experience. Loved the rooftop! The pictures don't do it justice! The pool was refreshing. Loved that they had beach loungers for us to take on the short walk to the beach. Would definitely stay here again! Kate, thank you for your feed back we appreaciate it! Casa Mulder had a few upgrades for this seaon, happy you and your group enjoyed the house. We will have new pictures up for Casa Mulder on our website for everyone to see. Looking forward to your next visit! After 8 days stay at Holbox Island, we arrived Puerto Morelos and met the Abby del Sol staff. After a warm welcome, we went to the house with Jin. Casa Mulder met our exepectations. We found it well equipped and no problem occured during our stay. 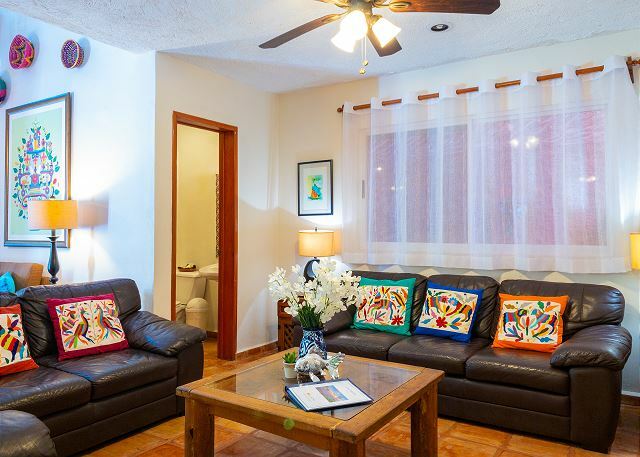 Convenient located near the beach and just an easy walk to the center. Abby del Sol staff helped us a lot during our 8 days stay regarding booking of the 8-hours fishing tour with Capt. Carmen, snorkling with Capt. Crispy Bacon and Berta, and the daytrip, (van droven by Hector) to Tulumm Maya site and swimming in Tortuga Cenote. Would like to come back, but it's a long flight from Norway. Hola Bent, thank you for letting us take care of you and your family. They sure had a great time, lots of great memories to return! Property was really nice. Close to beach. Pool pristine. Costumer service not as good. Asked for a few extra towels, only had 1 per person, since we were swimming and going to beach every day. They told us that's why we had a washer and dryer. Also was under the impression they would come clean 1 time and they did not. Other similar places in area have daily or every other day cleaning. Also huge miscommunication on transportation service to and from airport. Was never told fees and surprised when he brought us BACK to airport that it was $100 dollars and he wouldn't take a credit card. Hola Autumn, We appreciate your feedback and are working to correct the errors. 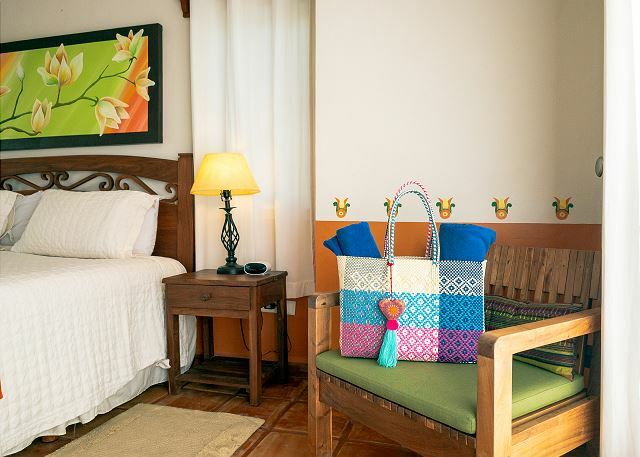 Beautifully decorated and fully appointed, the house is a perfect location for a seasoned or new visitor to PM. A residential area, its quiet but not dead. 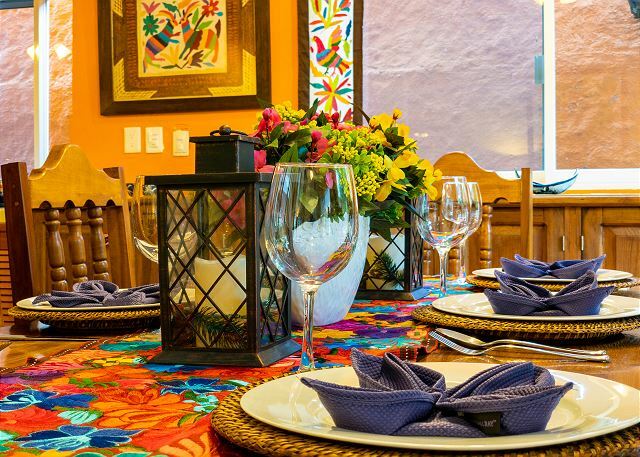 Restaurants, tiendas are all within a few minutes walk. The zocalo is less then 10 min walk from the house. From the third floor balcony you can see the sea, as the house is one street over to the beach, a perfect location. The. Cross breezes in the house allow freedom from AC, and the pool is great fun. It's my happy space. 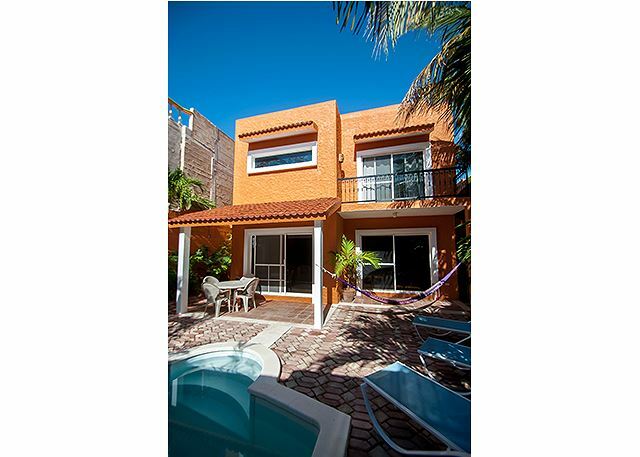 We rented this house for a wedding trip to Riviera Maya. My mother, husband and in-laws stayed at the house. We all loved the house and the location. Puerto Morelos is a cute, quaint town away from the busy cities. 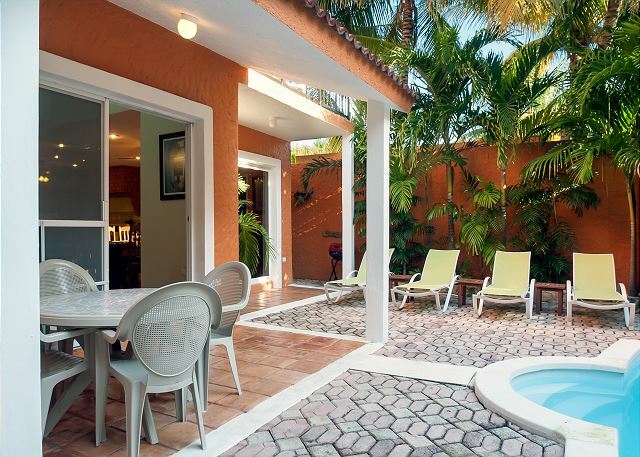 We loved the backyard, it was perfect for relaxing after a long day at the beach or sightseeing. The only two things we wished would've been available at the house are a beach umbrella (might be available at the property management office, but we didn't ask) and A/C in the downstairs living areas. In the mornings, it can get quite stuffy in the living room/dining room/kitchen area. Although, after opening windows and turning on fans it usually cools down enough to be comfortable. We would definitely recommend staying at this house. It is 1.5 blocks from the beach but the blocks are short. You can also easily walk to all the restaurants in the center of town. The staff at the property management office were also great. We were looking for a cake to celebrate our mothers' birthdays and the staff was great, calling around to different places and getting us quotes. I was very pleased with their level of service and our overall stay. We had a wonderful stay at Casa Mulder! Everything was as promised. The transportation service was great for our family of 6 adults and 1 infant, car seat provided. We used it for the airport as well as a day trip to Tullum, tailored to our group of 4. Any issues we had were addressed immediately (broken air conditioner, high chair and iron/ironing board missing, more drinking water) within minutes of our contact. The pool was cool, but we used it daily. The beach was beautiful, but the seaweed surge certainly was significant. Despite that, we swam daily in the gulf. The information about Puerto Morelos and recommendations for activities, restaurants, etc were valuable. This also helped us find a chef who came to our rental unit- one of the food highlights. We used the seafood market on several occasions. Taxi service was easy and inexpensive to get to the grocery store. The snorkeling tour from the town dock was great. All staff at Abbey del Sol were very professional and pleasant. We would highly recommend them and would book again with them. Our third time staying at Casa Mulder and it was wonderful again. The Abbey Del Sol team always look for ways to improve and do not disappoint. The house felt refreshed with new decorations all around to make it even more cozy. Thank you for the water cooler and coffee maker on the third floor, so nice for early mornings up on the roof. The staff are always helpful and responsive with any request. We were 10 people staying at the house, everyone had more than enough room and their own space. 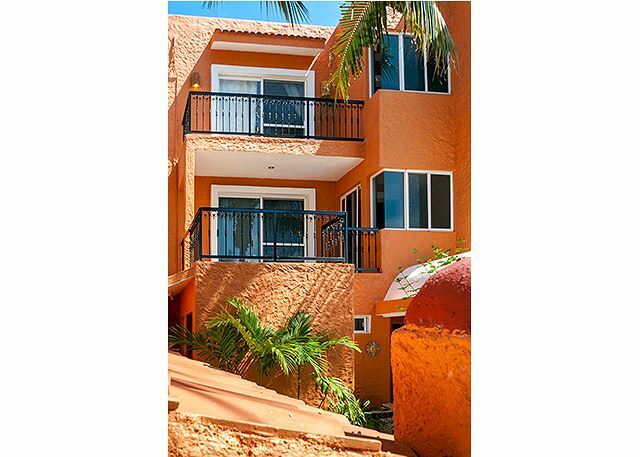 I recommend Casa Mulder or any Abbey Del Sol property. Casa Mulder was wonderful, loved Puerto Morelos! We had such a fabulous time on our week-long vacation. There was plenty of room for my husband and I, 24 and 20 yr old sons + girlfriend. 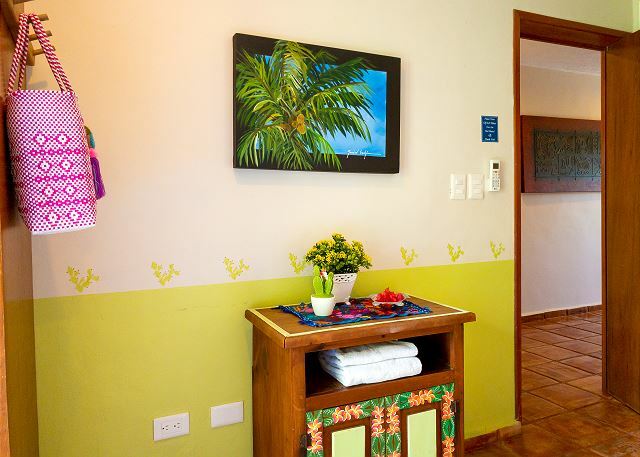 The property was tastefully decorated, clean, and well stocked with everything we needed. The property managers were very responsive(phone battery died, we needed more beach towels) and helped us to arrange shuttles from the airport,as well as a daylong adventure to the ruins and cenotes. The pool was a little cold to swim in but still nice(ocean was swimmable!). We felt very safe in the town and the locals were kind and helpful. The whole trip surpassed our expectations. Thank you for your kind review. Hope to see you and your wonderful family again. 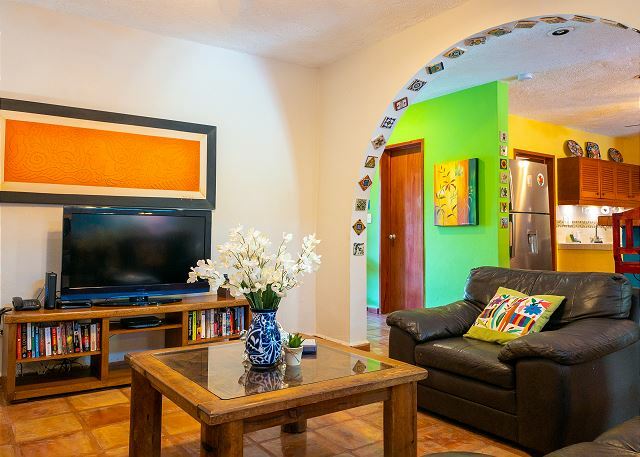 Casa Mulder is a lovely home not too far from the main area of town. It is walking distance, though having a bicycle really helps. The beds were incredibly comfortable, a big plus when you're sleeping away from home. 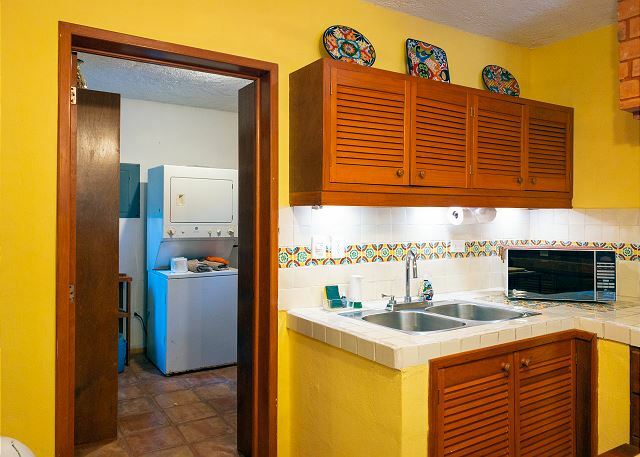 The kitchen has everything you could possibly need, and there are lots of bathrooms all over the house. It's a great option for a large family. I don't think I would consider the foldout sofa in the living room a comfortable option for two adults to sleep, but perhaps kids would be fine, or just one person. We did not use it, but it looked small. The office staff is very helpful and knowledgeable. We had a great one week stay in Casa Mulder. 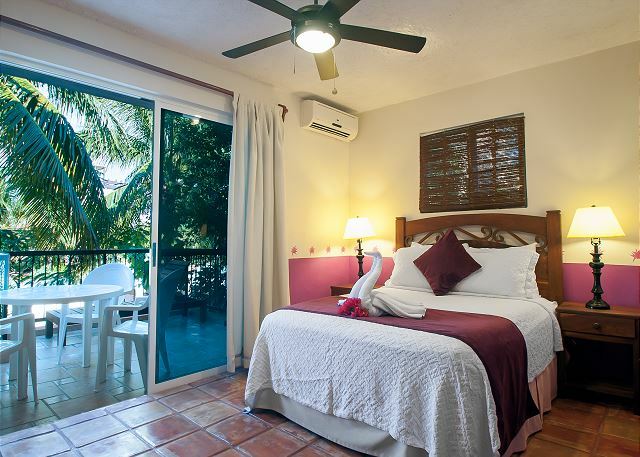 The location is very convenient to the beach as well as a huge selection of restaurants. The layout was perfect for our multi-generational (ages 1 1/2 - 79) family vacation. Lots of space for everyone. The house was very clean and well maintained. We enjoyed our trips to the beach plus Tulum, Coba, a couple Cenotes, and Playa del Carmen. All our meals were delicious and the restaurants provided and wide array of cuisines. 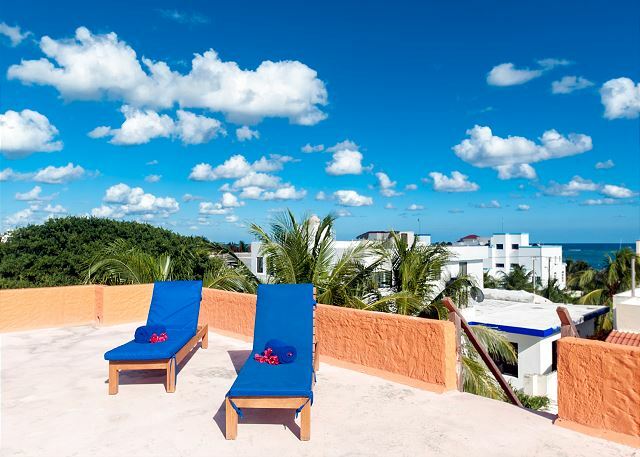 Puerto Morelos is great vacation spot to relax, enjoy the weather and not need a car. Dear Andrea, thank your for your kind review. We are happy your family had a great time. We feel fortunate to have found this excellent and peaceful vacation destination. We enjoy the laid back atmosphere; the fresh fish; the resourceful local people; the availability of activities; and everything about Puerto Morelos. 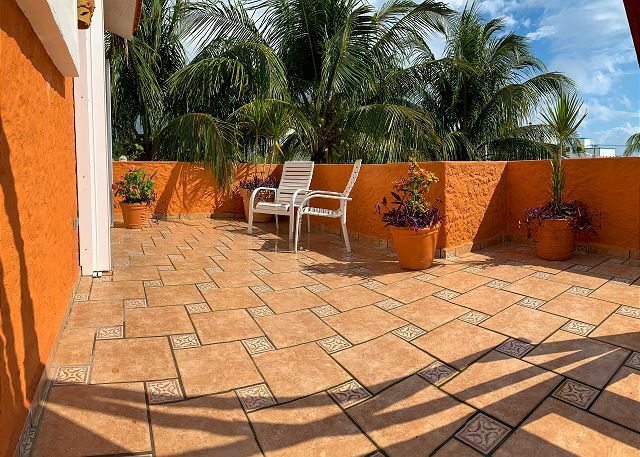 This is a lovely property, beautiful tile work throughout the 3 floors. Best part is the pool & patio area, so nice. There is only AC in the bedrooms, so it was hot in the main living & kitchen area. Ceiling fans helped a lot. The location is perfect. Close to beach & town. 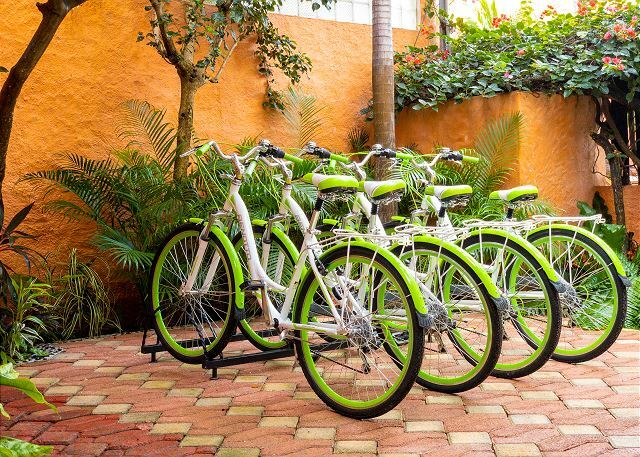 We rented bikes and rode all over town. Abbey del Sol is one of the best property managers I have ever dealt with. 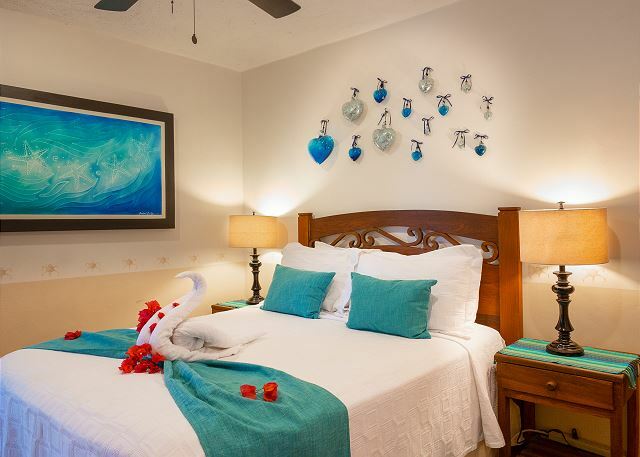 We expanded into 4 Abbey del Sol properties this year and our entire group of 18 had a wonderful experience. Our group of 8 loved using Casa Mulder for the week. 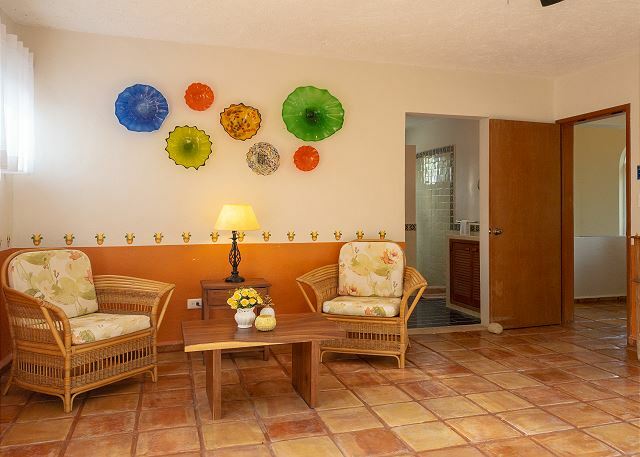 It was spacious enough for us to all enjoy time together in various spots (dining area, living area, pool area) as well as have time apart for naps, etc. As always, Nancy, Jin and team were warm and responsive. Definitely has the 'wow' factor! Gorgeous home with 3 storeys. My husband and I had the top floor with balconies on both sides so fantastic breezes. I went up unto the roof top every night to look at the stars! There was ample space for our family of 6 represented by 3 generations. Our back courtyard was like a peaceful oasis beside the pool (which was a bit chilly). Walking distance to all the little shops needed for fresh juice, granola, produce, etc as well as to town for the evening. Would return here again! Love Puerto Morales and Abbey Del Sol always does a great job! Second year staying with Abby Del Sol at Casa Mulder. It felt a bit like going to my home away from home! Will more than likely be coming back for year 3! Second time with Abbey del sol. Premises were great and service from the team excellent! I highly recommend renting from Abbey del Sol. Helpful, professional and in the evnt of any request or problem, they always respond right away! Perfect vacation at Casa Mulder!! The only change I would make is STAY LONGER. It was perfect for my entire family. A short walk to the center of town. Steps to the beach. Right down to the little towel animal art on each bed, every detail was perfect. Thank you for a great holiday! Best rental ever. House is perfect with all conveniences. Outstanding service. The village offers all you need at a wlaking distance. The beach and sea (for snorkeling) are superior. This home is private, clean and well stocked. 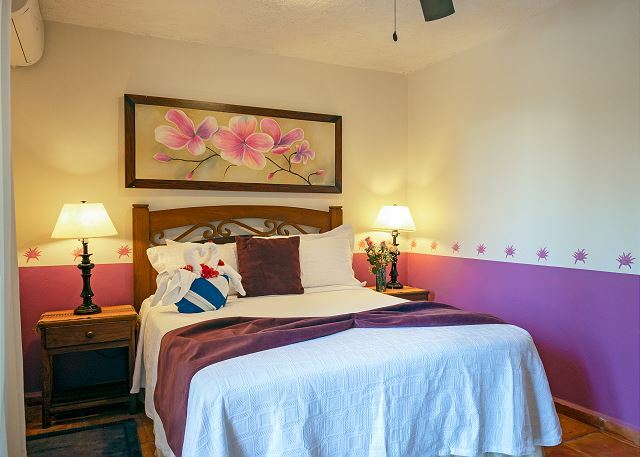 Very comfortable and close to shopping and restaurants. We absolutely loved our stay and hope to return soon! 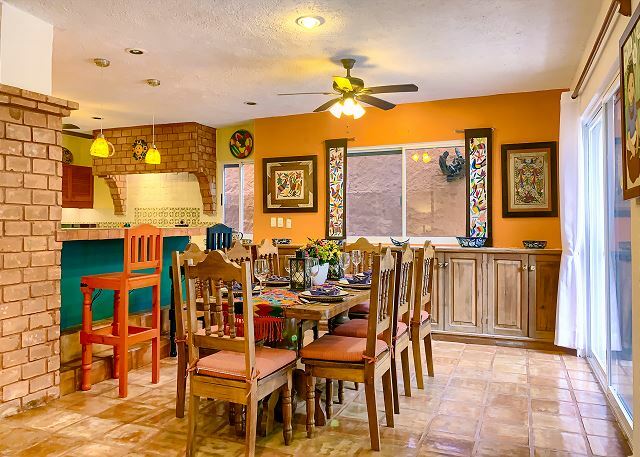 We rented Abbey del Sol's Casa Mulder for a week in February and loved it. The house worked well for us, lots of space and a very well equipped kitchen. Watching sunrises from the rooftop terrace was amazing! 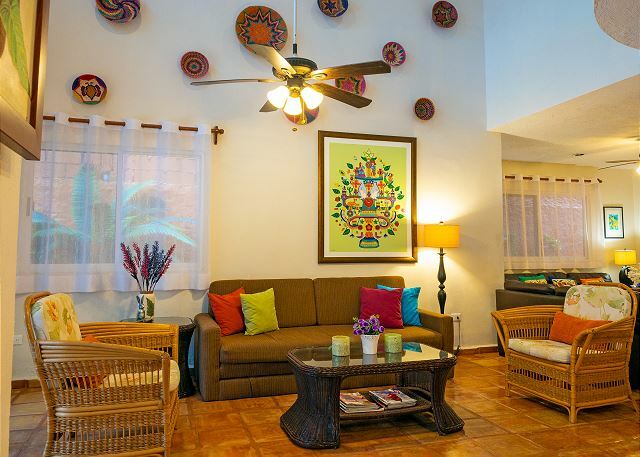 The house is only a few blocks from the center of Puerto Morelos and lots of good restaurants. I'd highly recommend this, or any property managed by Abbey del Sol. We took both adult children, their spouses and a 2 kids under 5 for a week. The house was great, bedrooms and bathrooms were clean and comfortable. Large kitchen, dining area and living room. The pool is really too cold to enjoy for more than a dip. Some of the furniture needs replacing, coffee table was broken and a little dangerous with small children. One broken dining chair. Abbey? 's staff were helpful and friendly. Would definitely return to this lovely area. 2nd time to Casa Mulder. 6 adults and 2 children. Plenty of room for all of us. Location was just a nice walk into the town square. 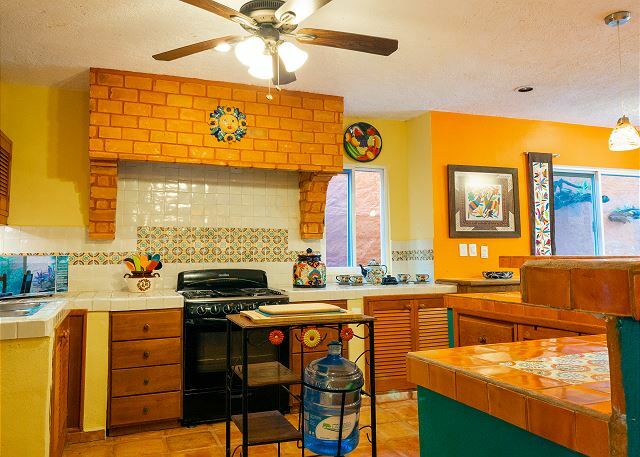 House was clean and well maintained, kitchen was well stocked with cooking utensils. Pool was very clean, cold though it didn't stop the kids from swimming. Close to the beach, which we could see from the rooftop of the home. Would absolutely recommend to friends. 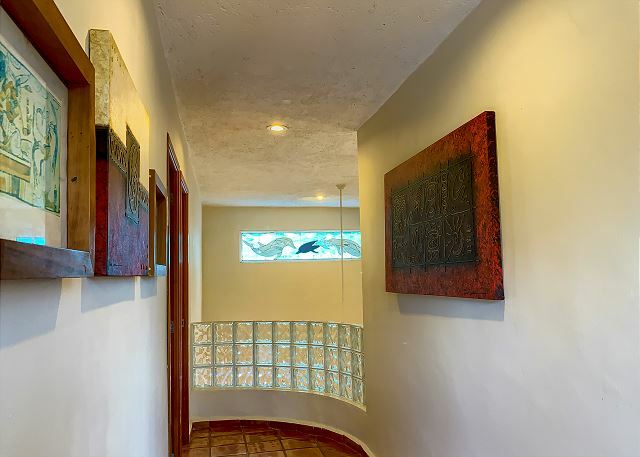 It was perfect....check in and check out was easy and friendly, the house was beautiful and very clean, so many amazing amenities, and it was in very close proximity to our yoga retreat! Stayed at a beach house last year about 2 miles away from town. This location although not on the beach is close walking distance from everything. Plenty of room and great relaxing time around pool. Great house! Perfect for multi-family or lots of friends. We slept 8 comfortably. The pool was very refreshing. Great location central to all. No AC in living area, but bedrooms had ac units. 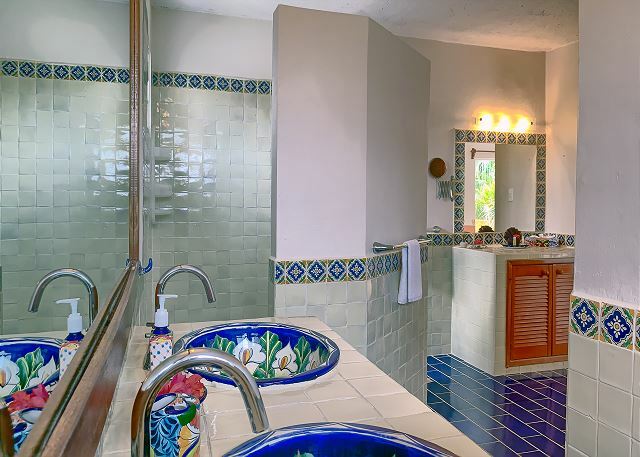 Casa Mulder was just as described on the VRBO, Homeaway, and Abbey del Sol websites. It is a very comfortable home with lots of common space in addition to four large bedrooms and five bathrooms. The private pool was amazing; the kitchen was well-equipped; and as usual, the Abbey del Sol staff was accommodating and amazing! Fabulous town, well maintained property, incredibly clean! 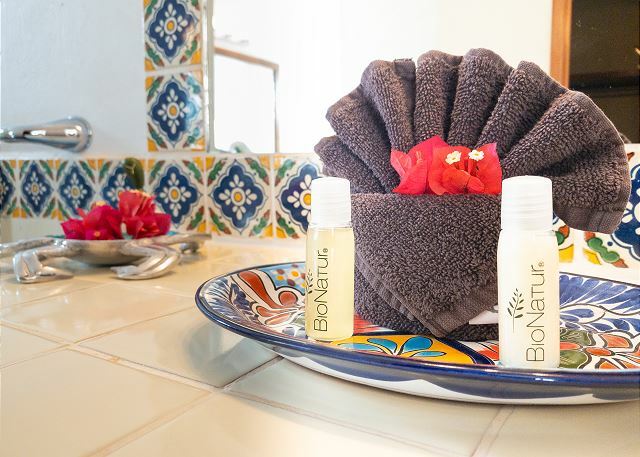 The entire staff of Abbey del Sol is welcoming, responsive, and cheerful! Great house in a nice location! We really enjoyed our stay at Casa Mulder! This is a nice spacious house with a big well equipped kitchen. The master bedroom on the top floor is amazing, beautiful and huge, the rest are smaller but adequate. A view of the ocean is really only possible from the rooftop which is only accessible through the master bedroom. The backyard is fairly small with a small pool and doesn't get a lot of sun. We found the pool to be very cold - my kids didn't mind and swam in it multiple times per day, but it was much too cold for the adults! I couldn't go in past dipping my toes! It was an easy walk to the beach, about a block away (3-5 min). Also an easy walk to the town square (10-15 min) with lots of nearby restaurants. Overall the house met our needs and we definitely enjoyed our stay. This place was the peaceful, private get-a-way we were all in need of. So much, in fact, that we spent much more time at this location than on any other trip to Puerto Morelos. 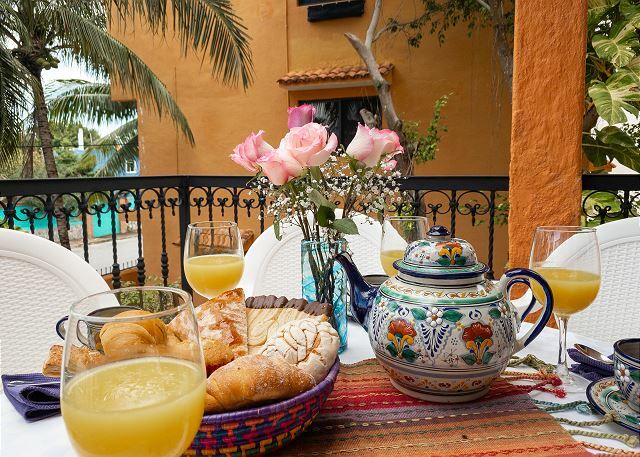 Mornings I'd rise and take a cup of wonderful Mexican coffee up to the roof and watch the sun come up, then we'd have another, along with a couple mimosas and heuvos racheros, next to the pool waiting for the sun to creep over the pool wall while listening to soft music (provide your own). One day we hired Fernando, from the office, to come over and give us a very nice, serene massage next to the pool. We'd go into residential area of P.M. and pick up produce to prepare an evening meal. Pack a good chef's knife in your checked luggage as this is understandably not supplied. Additionally, you'll want to pack a couple of boxes of zip lock bags to help protect the town's fragile septic system. Trust me on this. You'll see why. The house is just wonderful with a balcony off three of the four bedrooms and. 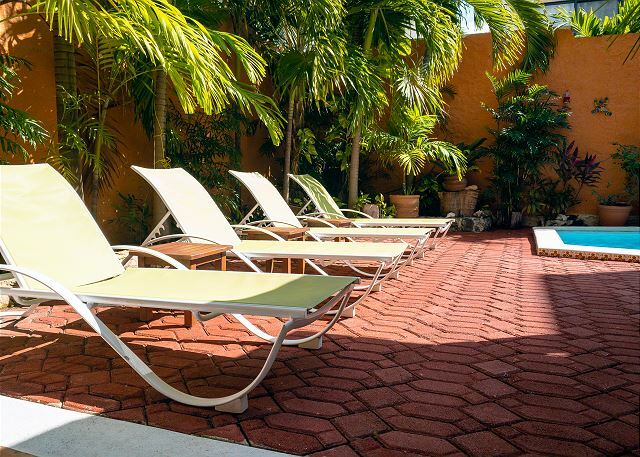 if you're a sun worshipper, there are many places on the upper levels, should the pool be too shaded, which is ideal on the very warm days. Take the time to locate the many various light switches, as it is a tad bit confusing. We never got around to reporting several burnt out bulbs but that was our mistake, not theirs. Full of local charm and culture, this place is absolutely ideal except for the tourists (who baffle me) who prefer the generic boutique hotels and the all-inclusives. And if you're around when the local man is riding by on his bike selling his tamales, jump on it! They are excellent! Most importantly, smile and be kind to the locals. In doing so you'll be rewarded with the true beauty that is Mexico. And as for the more aggressive merchants around the town square, remember, we all need to make a living for our families! And do stop to Habaneros and say hello to Lupita. Never a more charming, cheerful and lovely bartender to be found! CASA MULDER; the best! 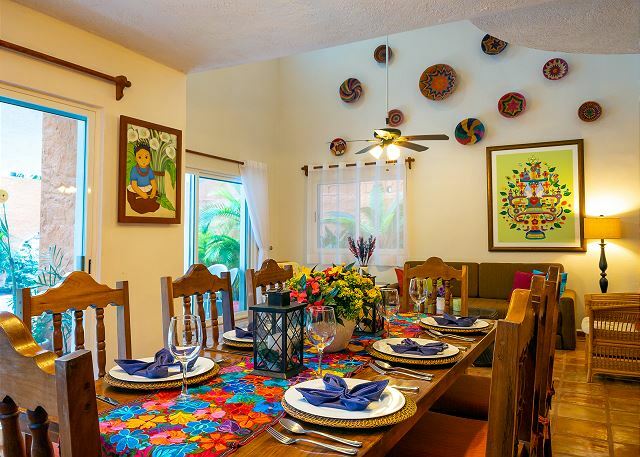 Casa Mulder is a delightful, extremely well-maintained and managed property, perfect for a large group. We enjoyed our stay immensely. We stayed for 7 nights in Nov/14. We were very happy with the property. It was very clean when we arrived. We had some problems with 3 of the 5 showers but Abbey Del Sol repaired them promptly when informed of the problem. Any of the properties Abbey Del Sol offers are a good choice as they are very good managers and very good to their guests. We had a great time at this villa and the staff were most pleasant. We had a fantastic stay. We were two couples with two toddlers, and the place was perfect for all of us. We all loved the pool, and the adults loved the roof top terrace at night after the kids were asleep. Place was spotless. They even cleaned the pool half way through our stay. Location is literally 2 minutes from the great beach, and 10 minutes from town centre. We would definitely return. Wonderful week at Casa Mulder! 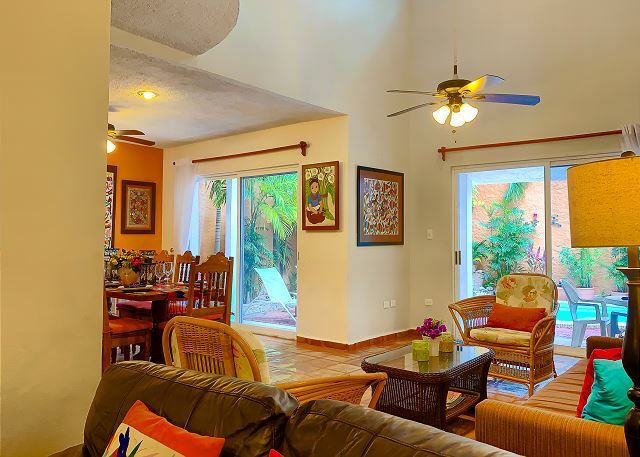 Casa Mulder is a beautiful home in a great location in Puerto Morelos. Abbey del Sol were quick to help us whenever called upon and very friendly. 5 stars all the way! We especially enjoyed ending every day on the rooftop. Good accommodations, short walk to the beach and downtown. The weather was perfect, the beach was perfect, snorkeling was good, saw eagle rays, barracuda and more. We needed a large place to accommodate extended family. Casa Mulder fit the bill - big living space, many bathrooms. It was also close to the beach and a short walk into town. A great time there thanks to Abbey del Sol. Highly recommended for a safe and very pleasant stay. Loved the house. It was perfect. The roof view was amazing. Walked back and forth to downtown (such a great town). We loved Puerto Morelos, found the staff @Abbey Del Sol very professional and attentive. We give the staff 5 stars. Casa Mulder could use some attention. Dishwasher never worked and was not repairable although the staff tried. Furniture was not especially comfortable and the kitchen did not have a skillet that was non stick. Beds were comfortable showers had issues such as no hot water until the staff addressed. Property is for sale and it appears to be in need of some upgrades. Overall we enjoyed our stay and found the village shopes, restaurants and people to be very friendly, a pleasure to visit. The reef is pristine and well worth taking one of the local guides for a visit. We used Wet Set and found them very friendly and helpful. Our favorite place to eat was John Greys Kitchen. We enjoyed several local restaurants, however John Greys was several cuts above the rest. 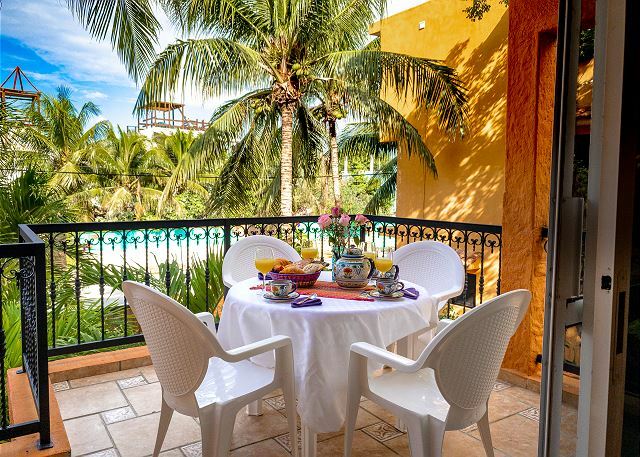 We will return to Puerto Morelos and stay with Abbey Del Sol but probably use one of the other properties. The dishwasher broke quite suddenly. It is only 3 years old. Unfortunately it could not be repaired so we have removed the dishwasher and will not be able to offer it as an amenity in the future. The hot water heater has been replaced. In such a large house it can take a while, for the hot water to get to the upper floors. There are now new non-stick fry pans. We hadn't heard a comment about the furniture before but will pay attention to it. Thank you for your comments. This is how we know to make things better. fuera del problema de lluvia que depende de la naturaleza, todo muy bien. 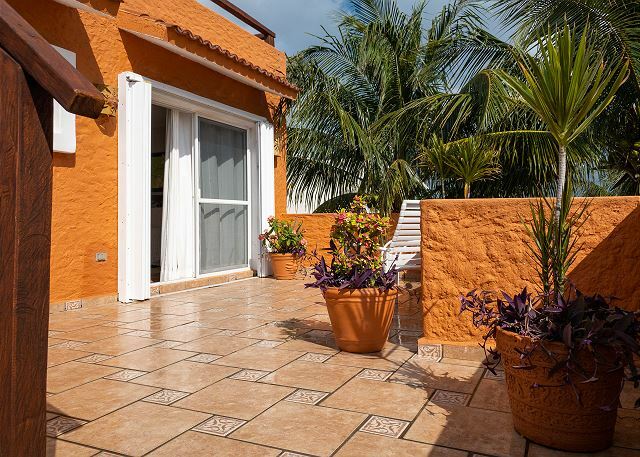 Casa Mulder is a beautiful home just 2 short blocks from the beach. We could see the ocean from 2nd and 3rd floor balconies. The private pool was perfect. A very short walk into the town square area of Puerto Morelos you will find excellent, inexpensive restaurants and shopping. We plan on returning each year. Trudy J from Lancaster, LA does not recommend this vacation rental. The house met our diverse needs really well, it was welcoming and spacious. Any concerns we had were attended to promptly and Pilar was warm and available as a local organiser. the house is one block back from the beach and the many eating places are all within walking distance. 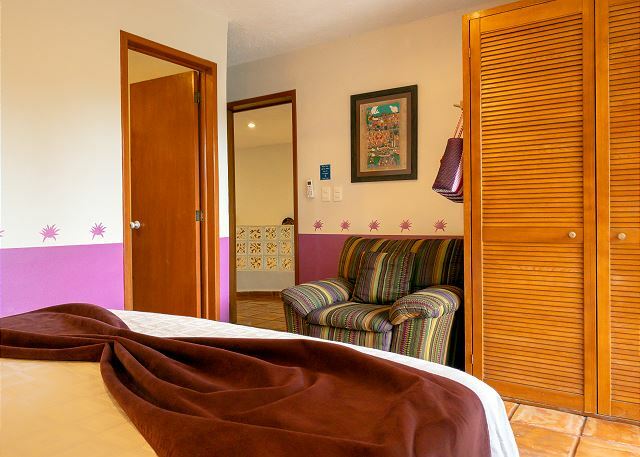 Peurto Morelos has a lot to offer for a small town, and felt family friendly and safe. 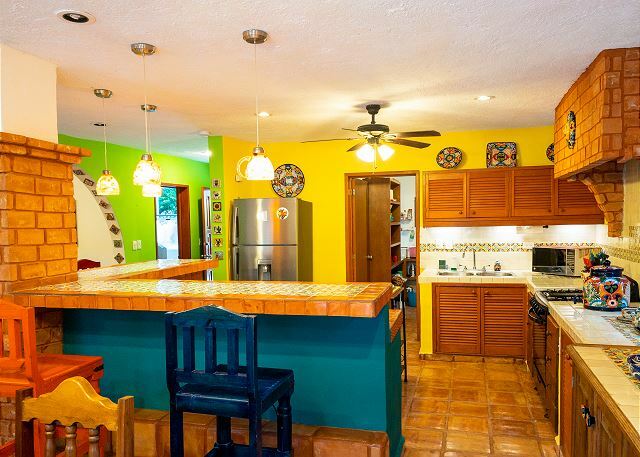 We rented Casa Mulder for a March break getaway with our kids and grandkids (2 and 4). What a beautiful place, spotlessly clean and attentive staff when we needed them. 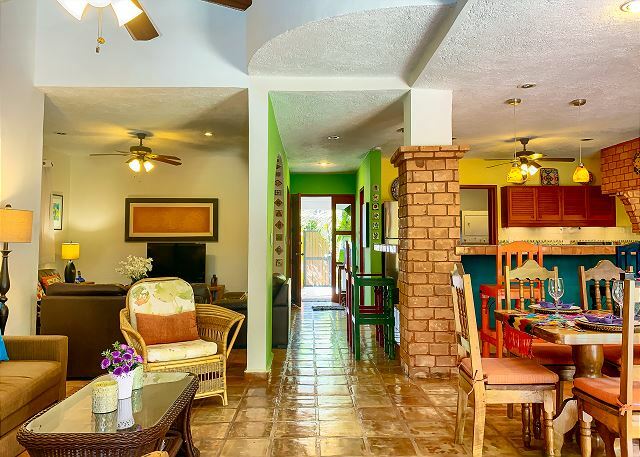 It was perfect for our needs with it's central location close to the beach and town, wide open living area, and little pool which was the highlight for our 4 year old grandaughter. We were able to have restful sleeps on the spacious top floor suite with a king bed, choice of balconies and gorgeous bathroom while the kids had the second floor all to themselves. It would have been nice to have a TV/DVD up there to have some quiet evening time. We would love to come back again with the family, 2-3 other couples or even for a girlfriends getaway. We loved it! We fell in love with Puerto Morelos and the mexican people. Our house Casa Mulder is very charming and worked well for us 6 people. (8 people - I don't think works so well) Puerto Morelos has some 40 restaurants. We visited several of them and ate fabulous dinners. Can strongly recommend Puerto Morelos and Casa Mulder. Wonderful house! Loved everything about it! Jin and Freddy are more than accomodating,helpful and always willing to help with anything! Only complaint was the WiFi......router needs to be moved to 2nd level to optimize the signal. Want to go back in 6 months,can't wait a whole year!!!! The CASA was wonderful. the kitchen is wonderful, roof top was great for coffee in the mornin and cocktails in the evening.Never had a bad meal the whole week. the pool is great after shopping in the town square. the master suite was perfect,I want a bathroom like that in my house! The decor in the Casa was just what you would expect staying in Mexico. All was very well takin care of and very clean and comfy.Can't say enough good about this wonderful town...We will be back!!!!!!!! taxi. Overall, we had an excellent stay in Puerto Morelos. The house was very nice, comfortable, the swimming pool very pleasant !